We invite you to contact us with any of your home building or remodeling needs or questions. We are here to serve you and provide you with the best building services possible. 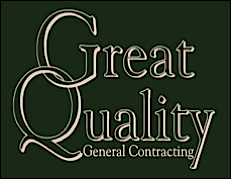 Great Quality General Contracting LLC.